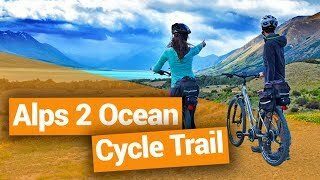 Which bike trails to try in Otago. Snow-capped mountains, lakes, river gorges, dry deserted lands, farmland, vineyards… Otago has everything in terms of awesome inland landscapes. What better way to see it all than by bike? Thanks to the South Island region’s rich gold mining history, a number of old railway trails have been left behind – left behind but not neglected! They now form some awesome bike trails, including the mammoth journey which is the 152km Otago Central Rail Trail. 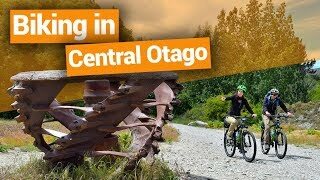 Admittedly, most of the cycle trails listed below are just sections of the Otago Central Rail Trail, but that gives you an idea of what to expect from each of them if you are not too eager to take on the multi-day ride. The list below is classed from longest to shortest, and you’ll find that most the trails in Otago are especially easy. It’s more about the landscape you ride through rather than taking on something technical. However, there is a mountain bike park on the list if you can’t resist. The Otago Central Rail Trail is the jewel of the region. The trail follows the disused railway from Clyde Station to the township of Middlemarch through stunning mountainous and rocky landscapes. The ride is actually very easy. The difficulty lies in its length, but with so much to see along the way like a viaduct, river gorges, tunnels and historical towns, you cannot go wrong. If you don’t have the 4 days minimum required to tackle this trail, keep on reading, there are multiple trails that are only sections of this lengthy one. Starting at the Lake Roxburgh Dam, the Clutha Gold Trail will take you on the ultimate Otago journey, from lakes to rugged landscapes to prosperous farmland. The trail finishes in the small town of Lawrence dubbed “the gateway to the goldfield”. It was in Lawrence that in 1861 Gabriel Read discovered some gold and shortly after initiated the Central Otago Gold Rush. Take the time to visit the few sites linked to this big part of the region’s history. For more information on the Clutha Gold Trail, take a look at Biking in The Catlins and Clutha Districts. You can decide to start this one way track from either end, in Alexandra or in Doctor Point. Totally isolated from the rest of the region and from civilisation all together, the trail follows the rocky Roxburgh Gorge for most of its course. The trail will take you through a dry and deserted landscape far from your typical New Zealand landscape. This short section of the longer Otago Central Rail Trail is a breeze. Almost downhill all the way, it passes through breathtaking landscape. Probably the best part of the Otago Central Rail Trail is the Poolburn Viaduct, which rises at 37 metres above the gorge below. But that’s not all, as this section also includes tunnels and many other bridges. This is the best way to enjoy the best of the Otago Central Rail Trail in only a day. Like the previous one, this ride is only a section of the Otago Central Rail Trail. In fact, Clyde to Chatto Creek is the first section of the long trail. Starting at Clyde Station, this ride passes through vineyards and sheep farms for a few hours of a flat and easy journey. Many vineyards along the trail welcome visitors for winetasting all year round so if you feel the need to get yourself some liquid courage to finish the trip, you know what to do. The ride on the shore of Lake Dunstan runs from Old Cromwell town to Lowburn. Easy to ride in summer thanks to the tall trees shading most of the trail, Dunstan Lakeside is an easy afternoon trail. Choose to take on this ride on a windy day? Then be amazed by the trees bending under gushes of wind and the lake waving at each gust. The views range from lakeside to vineyard to mountain ranges for an true Central Otago experience. For more information on Cromwell, see 5 Cromwell Must-Dos. Yet an other section of the Otago Rail Trail! This one starts at the Daisybank car park and goes all the way to the township of Hyde. This spectacular section passes through the Taieri Gorge and offers great views of the Kakanui Mountains and Ida Range. Other highlights of the trail include the Cap Burn stone bridge, the Price’s creek Viaduct and the Price’s Creek tunnel that you will need a torch to pass through. Continuing to cut down the Otago Rail Trail into sections with this “cool downhill” section. This picturesque trail from the Wedderburn Station to the town of Ranfurly is a paradise for open landscape-lovers. Equip your wide lens: you will have so many photo opportunity that you may want to add an hour or two to your planning. When arriving in Ranfurly, expect a mix of architecture from modern buildings to art deco, such as the gorgeous Ranfurly Hotel. Probably the easiest ride of this list, the River Track links Alexandra to Clyde Station. Start at the Earnscleugh Road car park and follow the river to Clyde Station. The Clutha Mata-au River that you will follow is breathes life to the plants and trees along the way that thrive all year long. In autumn, the trail displays another shade from green to oranges and yellows – definitely our favorite season to ride this trail. This short journey starts at the Melmore Marina car park in Cromwell and ends at the Bannockburn Bridge. Alongside Lake Dustan you will be treated to great views of the mountain ranges and, of course, the peaceful lake. The area is rich in award-winning vineyards and feels like nothing could disturb its peaceful atmosphere. 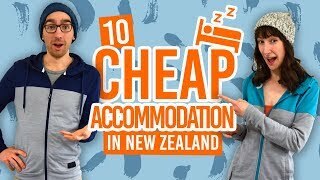 For places to stay in Cromwell, check out 5 Best Backpacker Hostels in Cromwell. 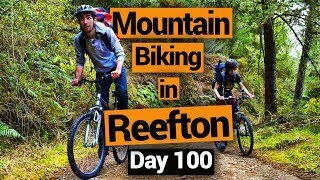 The most challenging trail on this list loops from the Feltron Road car park. In the short 3.5km of the trail you will explore what is left of Steward, an old goldfield town that was born during the Great Otago Gold Rush. Challenge yourself amongst what is left of the golden age and stop along the way to photograph ancient buildings which are a testament to a thriving past. Check out more things to do in the area in 10 Damn Good Things to Do in Cromwell. Naseby forest is not a trail but a mountain bike park. It is probably the most fun mountain bikers will have in the region. With a huge amount of trails, it will provide hours of fun to mountain bikers of all levels. Well designed curbed downhills are always a treat and hard uphill climbs will test your endurance. For lower level riders, there are plenty of tracks through the forest that are a lot of fun to take on. … Try out these other things to do in Otago. When you’ve had enough of cycling, take a look at these links for more awesome things to do!